If you wonder what happens to all of the data in a typical breach, you simply need to peer into the "dark web," the name given to that part of the internet not indexed by the popular search engines and requiring special tools to access. The dark web hosts multiple activities, many of which are perfectly legal and others that aren't, such as markets for buying drugs, guns and, yes, data pulled off computer systems through illegal means. 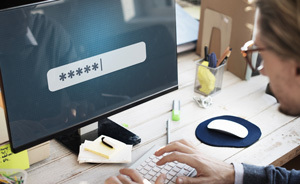 Recently, researchers at security firm 4iQ reported that they'd found a database of 1.4 billion clear text credentials, an aggregate database twice as large as any other ever uncovered in the dark web. It was discovered, according to an article posted to Medium by CEO Julio Casal, "in an underground community forum." Casal wrote that none of the passwords were encrypted; after testing a "subset," many were verified to be real and still active. The database aggregated the contents from 252 data breaches, including large ones (LinkedIn) and small ones (Bitcoin). "This database makes finding passwords faster and easier than ever before," wrote Casal. "As an example, searching for 'admin,' 'administrator' and 'root' returned 226,631 passwords of admin users in a few seconds." Since the original article appeared, Casal's company has provided a link where users can enter their e-mail addresses and receive truncated versions of passwords included in the database tied to that account. If no exposed passwords were uncovered, 4iQ will also let them know that. "This experience of searching and finding passwords within this database is as scary as it is shocking," Casal said. "Almost all of the users we've checked have verified the passwords we found were true."